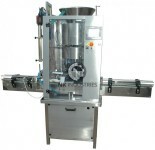 N.K Industries, based in Ahmedabad, Gujarat is a pioneer manufacturer & Exporter of State of Art Semi automatic ROPP Capping machine. 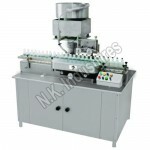 Our Semi automatic ROPP Capping machine Model NKCS- 50R is appropriate Engineering solution for startup industries where production demand is low & qualitative ROPP Sealing / capping required. 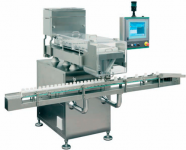 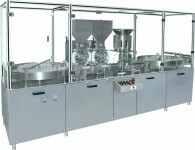 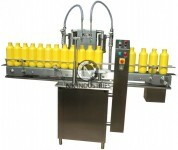 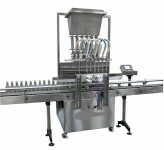 The machine can deliver 30 Bottle per minute output depending upon operator competence. 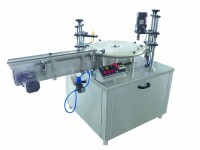 Qualitative ROPP Capping result due to use of motorized sealing head. 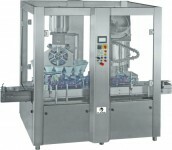 Semi Automatic ROPP Capping machine can work with wide shaped of container like Round, Square, and Triangular with minimum change part. 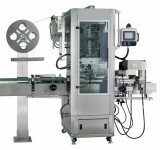 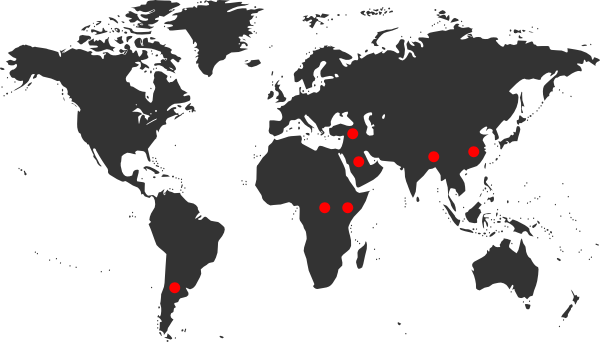 Machine speed can be adjusted due to the Use of Sensor less vector control Variable frequency drive. 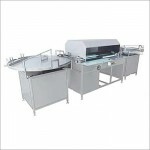 The Semi Automatic ROPP capping machine is precision built on sturdy welded AISI 304 frame completely enclose in stainless steel sheet and doors are provided to facilitate the servicing of machine. 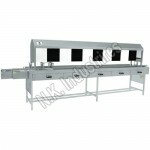 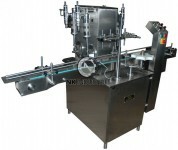 Machine is having motorized rotating head mechanism which is constantly moving up and down. 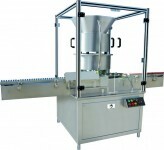 Require manually feeding & unloading container, where the body and the neck of the container are positioned below the rotating head and sealing head is performing perfect operation of capping with uniform torque. 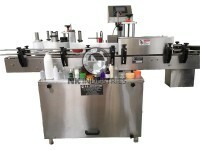 Easy Operating Interface As Operating Panel Mounted At Front Side Of Machine. 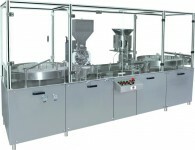 Minimum Change Parts Require For Different Container Diameter. 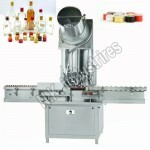 Adjustable Bottle Height Gauge Provided For Easy & Quick Setting. 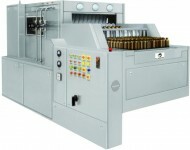 Sealing Pressure Can Be Varied To Suit Different Size Of ROPP Caps. 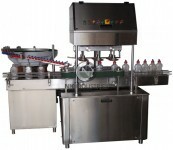 Powered Using The High Perfoamnce Worm Gear Box And Gear Motor. 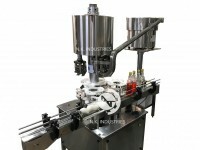 Screw Capping Attachment To Run Screw Cap. 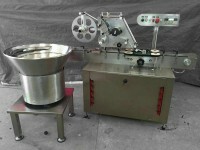 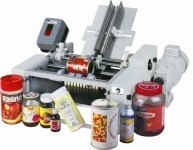 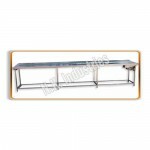 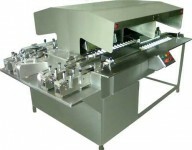 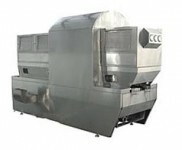 Following Industries Are Produly Using Our State Of Art Economical Semi Automatic ROPP Capping Machine.